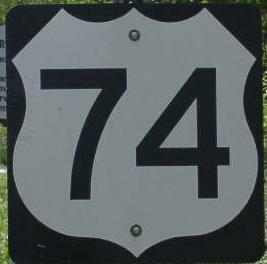 U.S. Federal Route 74 runs east-west across Buncombe County. This enters from Haywood County, near Luther, and heads toward Metro-Asheville. 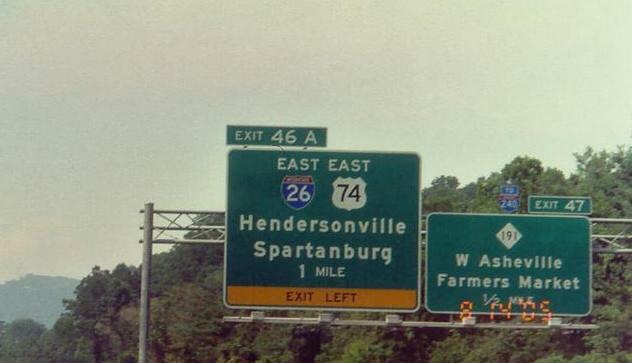 At Asheville it heads south along Interstate 26, to Henderson County, near Fletcher. U.S. Rt. 74 passes through the following town in Buncombe County. U.S. Rt. 74 is multi-plexed in Buncombe County. Interstate 40, from the Buncombe/Haywood County Line to Asheville. 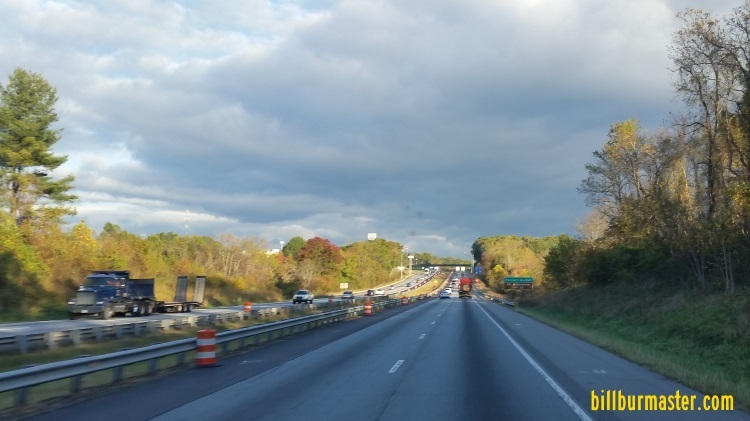 Interstate 26, from Asheville to the Buncombe/Henderson County Line. U.S. Rt. 74 intersects the following highways in Buncombe County. U.S. Rt. 19, at Asheville. U.S. Rt. 23, at Asheville. U.S. Rt. 74A, at Asheville. North Carolina State Route 191, at Asheville. North Carolina State Route 146, near Arden. North Carolina State Route 280, at Fletcher. NB I-26/U.S. Rt. 74 south of NC St Rt 191.